If you never drive water jet bike, try it now. Enjoy 20 minutes of full adrenaline. 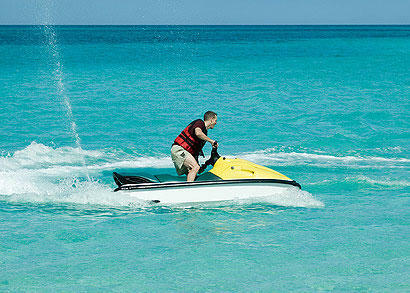 Jump, run, do whatever you want in our circuit on a powerful jet ski. Then, we are sure, you will join a longer tour! To allow customers of 16 and 17 years old to drive a jet bike we need that their parents sign an authorization form before the activity starts. Under 16 years old can only go as a passanger on a Double Bike and cannot drive the jet ski. at 11:00 AM, 12:00 AM, 01:00 PM, 02:00 PM, 03:00 PM and 04:00 PM. 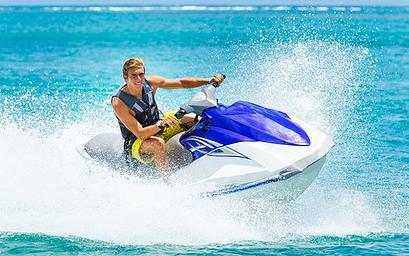 In order to make your booking of JET SKI Trial Water Sport, Fun & Rides easy and comfortable Tenerife Host use the most advanced and user friendly booking platform TripsPoint.com where you can easily check last actual prices, the tour availability, required booking deposit and book this tour. 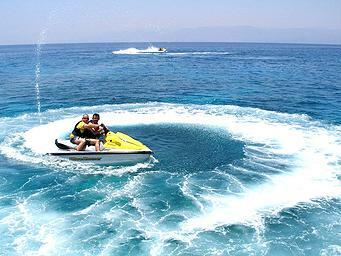 To get more information of JET SKI Trial Water Sport, Fun & Rides and do booking, please, click the button ‘Book Now’. You will be taken to the tour page at TripsPoint.com where you can easily book the tour. Once the booking of JET SKI Trial Water Sport, Fun & Rides made at TripsPoint you will get your tour Voucher / booking confirmation with all details, including exact pick-up point, pick-up time and map. 39€ – per Single Bike for 1 person. 49€ – per Double Bike for 2 persons.